Waterfall Hikes, Spectacular and Breathtaking! Always a Reward at the End! 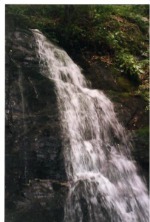 Waterfall hikes are an excellent way to see the beauty of the Smoky Mountains. There's something magical that draws us to waterfalls. We flock to them and just have to stand in awe and amazement. A hike to a waterfall makes for a rewarding experience. You work so hard getting there, but it's worth it when you find that gorgeous waterfall at the end! 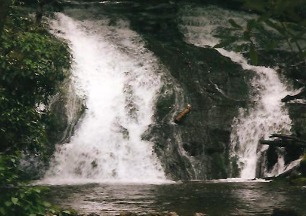 The Smoky Mountains is home to some spectacular waterfalls. Keep in mind that waterfall hikes are among the most popular in the Smokies. If you want to avoid the crowds try hiking on a weekday- the earlier the better. Here's a little trivia for you. Did you know there are different types of waterfalls? -plunge- freefalls without sliding down underlying rocks/cliff, sometimes you can walk behind them! What's Your Favorite Waterfall Hike?